It’s rare that we have a Thursday wedding that exceeds the level of energy we see at one of our Saturday night weddings, but that is exactly what happened at Morgan and Mitch’s wedding on 3/2/17. 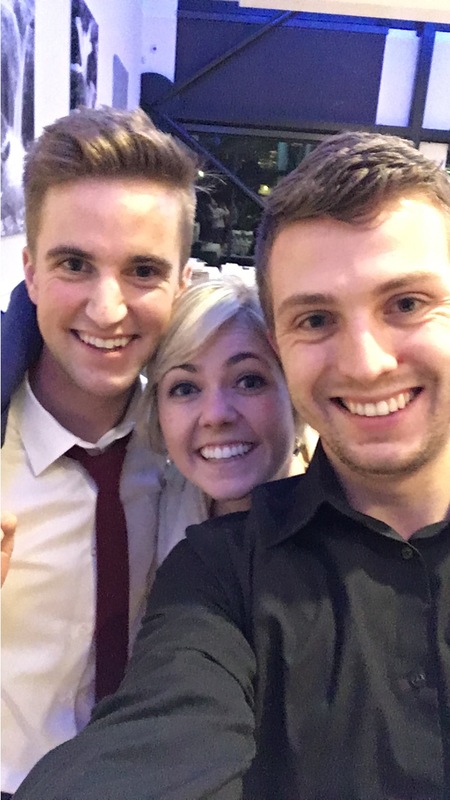 From our first consultation it was easy to see that these two were less enthused with the normal wedding formalities than they were with the idea of partying with all of their friends and families. When it came wedding time, we made sure that we had as much time to spend dancing as possible! 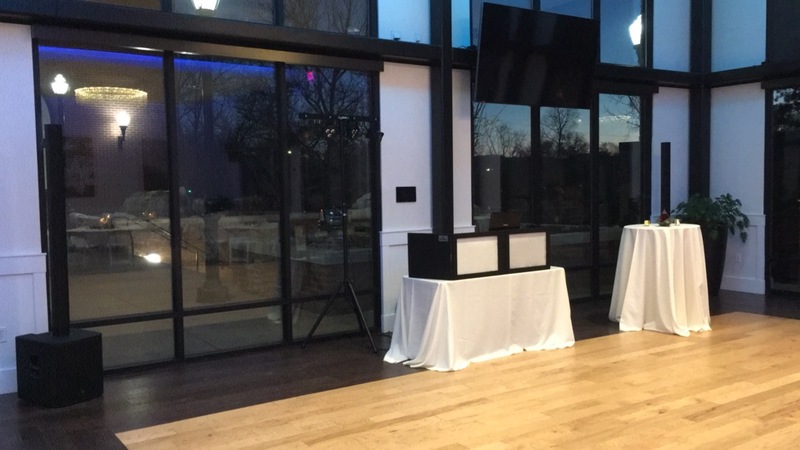 Take note of our new wedding sound system; no visible wires and blends in perfectly to the background! After all, this is YOUR special day, and we believe the focus should never leave the happy couple. Their wedding was held at The Falls event center in Trolley Square, downtown Salt Lake City. 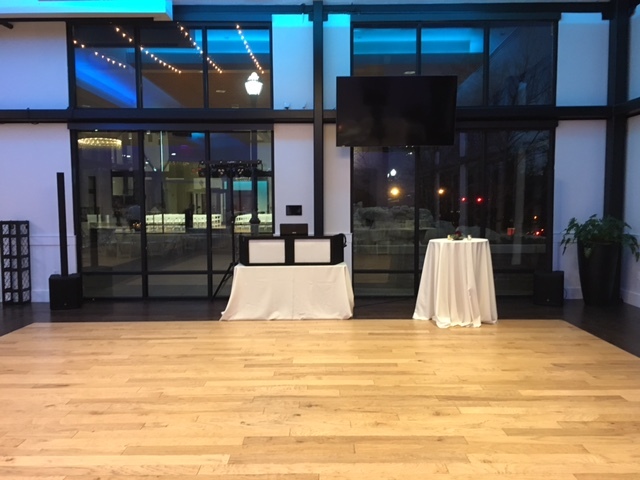 The Falls is one of our favorite venues, and for good reason; the space is beautiful and the staff is amazing to work with. 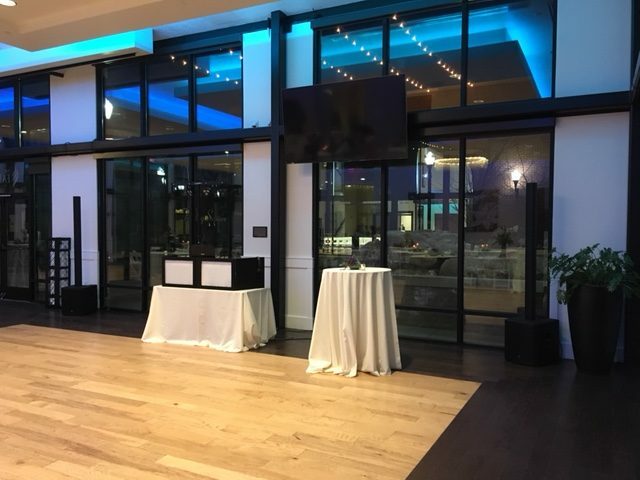 Something unique that sets The Falls apart from other venues is the amazing LED lighting built into the ceiling that can be programmed just like our uplighting to match any wedding color. When it came time to get the party started, the lights in the ceiling instantly went into party mode and compliment our dance lighting perfectly. Check out some pictures of our setup below, and visit us on instagram @djfayze to see video from the event!